A gigantic granite peak protrudes from the dense jungles of Sigiriya. 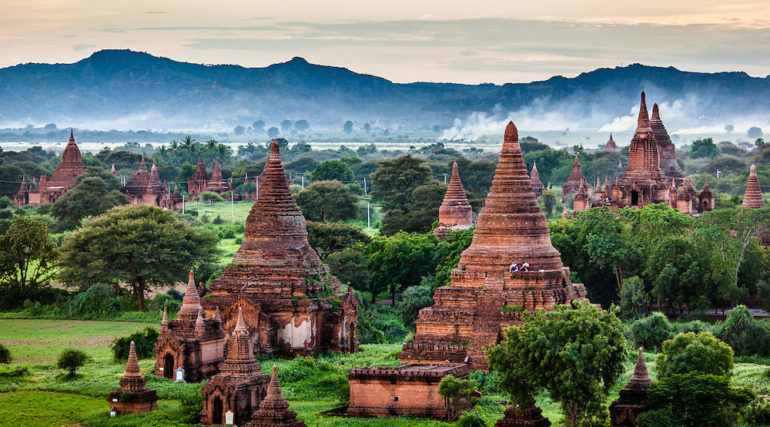 Chosen by King Kasyapa as the site for his new palace, he built an ornate fortress at the summit of the rock – one featuring enchanting gardens, stunning water features, alluring frescoes and complex defensive structures. 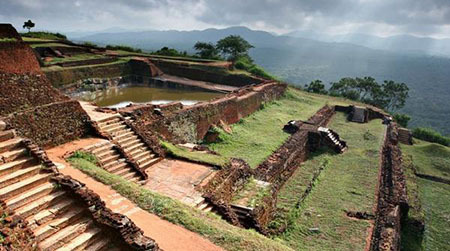 The glory of this place was short-lived; after Kasyapa’s defeat, Sigiriya was returned to the monks and left in a state of progressive abandonment. 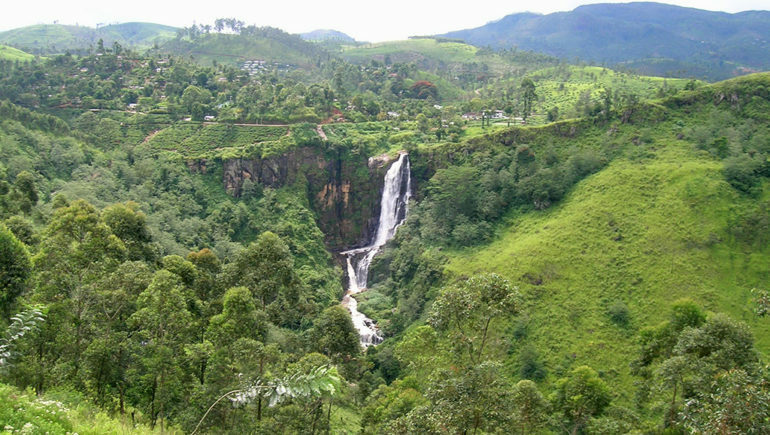 It was only during the 16th or 17th century that the site was used as an outpost of the Kingdom of Kandy. Atop the rocky outcrop of Sigiriya lies the ruins of the Ancient City of Sigiriya. 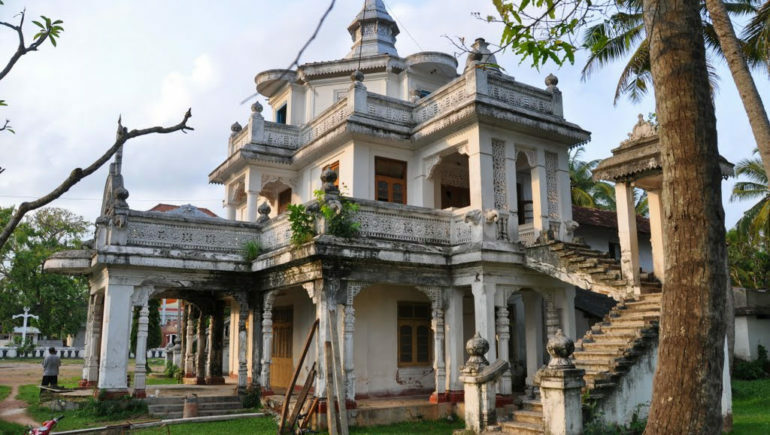 Built by King Kasyapa more than 1,600 years ago, it was one of Sri Lanka’s most outstanding royal palaces. 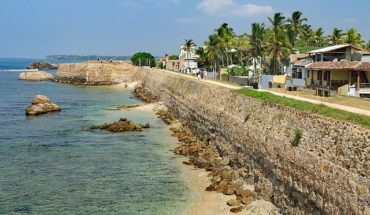 The palace grounds were abound with lush gardens, pretty ponds, beautiful pavilions and stunning palaces during its heyday; all that remains now are the fascinating ruins of a palatial fortress. An exploration of the grounds presents a scenic sight. Take a stroll in the well-preserved Water Gardens, traverse the winding pathways through the boulders and rock arches in the Boulder Gardens, admire the exquisite murals of the Sigiriya Damsels and peer closely at the numerous graffiti messages on the well-polished Mirror Wall. Lastly, ascend the steps of a metal stairway to arrive at the spacious summit. 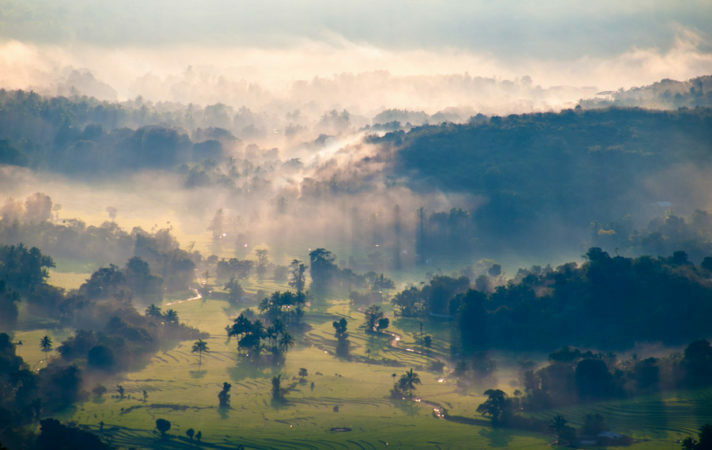 You’ll need a good head for heights to clamber up the narrow, frail-looking steps without fear, but once at the top, you are rewarded with spectacular vistas of the surrounding scenery. Looking for travel souvenirs? You’ll find quirky trinklets, lush batiks, shiny brass works, wood carvings and more at the quaint Sigiriya Craft Village. This government-run crafts village houses numerous artisans and craftsmen, providing them with a tranquil environment to focus on work on traditional crafts. It also serves as a convenient stop for curious locals and travellers to visit make handicrafts purchases and to watch the craftsmen at work. Vacation makers with a love for the arts will be pleased to make a stop by at Pethikada. 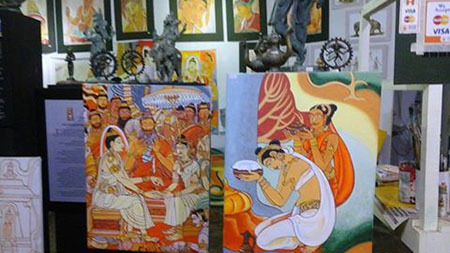 This art gallery showcases a collection of ancient paintings, all of which are created by Jagath Jayasooriya. Jayasooriya focuses on reproducing ancient wall paintings on canvas or wood as a means of preserving these works of art for future generations. Browse through his gallery, and you will set sight on a fine collection of colourful paintings and intricately-carved ornaments. If you haven’t had your fill of souvenir shopping, this is an excellent place to purchase an exquisite selection of local art works.